The following piece was prepared collaboratively by Lisa Gustinelli, Jonathan Nalder, and Paul Signorelli; each of us is publishing and sharing it on our own sites in the spirit of the collaboration that the piece documents. Please repost. We’re a community that knows how to work, play, and, when necessary (as we have recently learned), grieve together. The key to dealing with those unexpected moments of grief seems to be in looking ahead as we bury our dead and tend to the survivors. Those of us who were part of the NMC (New Media Consortium) global family, tribe, and community of learning for many years were stunned, a couple of weeks ago, by the sudden, completely unexpected news that our NMC friends/staff/colleagues had been suddenly laid off during the holiday season and, as the official (unsigned) statement distributed by former Board President Gardner Campbell via email noted on December 18, 2017, the “NMC will be promptly commencing a chapter 7 bankruptcy case. A trustee will be appointed by the court to wind down NMC’s financial affairs, liquidate its assets and distribute any net proceeds to creditors…” Those who loved the ed-tech reports issued through NMC’s Horizon Project, which documented ed tech projects, developments, trends, and challenges across both formal and informal learning sectors, are concerned that a project with more than 16 years of insights and impact worldwide could die along with the NMC. Dissecting the situation to determine what caused this particularly unwelcome Black Swan to land in our pond is going to keep a lot of people busy for a very long time. Frankly, that’s not our concern. As we heard so many times decades ago on the original Star Trek television show, “He’s dead, Jim,” and others will have to handle the NMC funeral and respectfully deal with what remains of the corpse. In less than two weeks, however, numerous members of the community that was originally fostered and sustained through the New Media Consortium have come together to determine what we will do to continue our work and play and exploration together in a post-NMC world. It only took us a few days of intensive online conversations and phone calls to determine that our greatest asset—one that cannot be monetized by any trustee or sold through any bankruptcy proceedings—is the extended, collaborative, global group of innovative educators-trainers-learners-doers (what one of us lovingly calls “Edunauts”) who produced, under Creative Commons licensing, much of what made NMC such a dynamic organization with such far-reaching impact. We are members of a vital, vibrant, dynamic community. That community is not dead, even if the organization that helped it grow and thrive is. By the end of the same week the announcement of the NMC’s immediate dissolution appeared, four of us (Lisa, Jonathan, Paul, and Bryan Alexander) had initiated community-wide conversations that led to creation of a landing place for the community: the Beyond the Horizon community on Slack. More than 150 people have become part of the Slack community mentioned above to explore possible futures for the community and its work. Colleagues including Bryan Alexander are sketching out possibilities. (See Bryan’s blog.) Another was sketched out by Jonathan in an online posting. EDUCAUSE President/CEO John O’Brien publicly committed the organization to doing whatever it can to bring the 2018 Higher Education Edition of the Horizon Report to fruition. And now, in our Beyond the Horizon Slack community, we have a prototype horizon 2.0, which we launch with this announcement. We are, individually and collectively, working as friends/colleagues/collaborators/cultivators, each tilling the vineyards we know best, collectively working toward the same goal of moving past this tragedy and keeping the momentum of this community going. And we hope you’ll join us, informally and formally, as we continue the learning journey the NMC community was on for nearly 25 years. With all the justifiable attention given over the past few years to 3D printing and gaming/gamification in learning, it’s not surprising to see these topics highlighted in the latest Higher Education Edition of the New Media Consortium (NMC) Horizon Project reports on key trends, significant challenges, and developments in educational technology. If we take the additional step of looking at two additional technologies (wearable technology and the Internet of Things) that grabbed the attention of Horizon Report Advisory Board members but were not formally included in the section of the report listing important developments in educational technology expected to “have a significant impact on the practice of higher education around the globe” over the next two to three years (the report’s mid-range horizon), we find wonderfully interconnected resources that are clearly on our training-teaching-learning landscape but haven’t quite reached complete mainstream adoption yet. “3D printing is an especially appealing technology as applied to active and project-based learning in higher education,” the new Horizon Report reminds us—and that suggests that 3D printing in many other training-teaching-learning settings can’t be far behind. The same can easily be said of the second mid-range horizon technology (gaming and gamification): “Gameplay…has found considerable traction in the military, business and industry, and increasingly, education as a useful training and motivation tool….the gamification of education is gaining support among educators who recognize that effectively designed games can stimulate large gains in productivity and creativity among learners” (p. 42). And that’s where we come full circle, finding the same sort of interweaving of key trends, challenges, and developments in educational technology that I’ve noted throughout this series of articles on the latest Horizon Report. We can’t really look at 3D printing or gaming and gamification in isolation if we want to fully grasp what is happening in our learning environment. Exploring 3D printing in learning connects us to the report key trend of “the shift from students as consumers to students as creators” as well as some of the other technologies tracked through the Horizon Project (e.g., makerspaces and collaborative environments). Exploring gaming and gamification in learning connects us at some level to the key trend of integration of online, hybrid, and collaborative learning, the challenge of keeping education relevant, and other technologies including flipped classrooms, social networks, and augmented reality. Our greatest challenge, of course, is simply finding and making the time to explore and incorporate into our work all that the Horizon Report and our own insatiable curiosity provide. NB: This is part of a series of articles exploring the latest Horizon Report. Next: On the Four- to Five-Year Horizon—the Quantified Self and (Digital) Virtual Assistants. If we want to learn at a deeply significant and long-lasting level, we clearly need to keep re-walking familiar paths while remembering, each time we recreate those journeys, to look at them as if we’ve never seen them before this moment. This becomes more obvious than ever to me earlier today when I have an unexpected opportunity to re-view EDUCAUSE Director Malcolm Brown’s stimulating “Ideas That Matter” presentation from the New Media Consortium Horizon Project Summit on the Future of Education held in Austin, Texas in January 2013. I enjoy the presentation when Brown originally delivers it. I take notes that I reread with fresh eyes a few days later. But it isn’t until I watch the newly-posted video of that discussion of the creative process needed to address wicked problems—those complex and ambiguous problems requiring innovative approaches—that I see how much my perspective on the topic has evolved over the period of a single month. What makes the viewing of that video transformative is that it places me, in a very visceral way, in two distinct yet interwoven moments and frames of mind. The original moment, environment, and frame of mind is the one created by the act of being part of a summit where all attention is focused on a single, spectacular theme—the future of education. The contemporary moment is the one that is here and now, just one month later, when I continue to be part of a group absolutely transformed by participation in #etmooc, the Educational Technology and Media massive open online course (MOOC) that Alec Couros and others are currently offering through March 2013. Brown, like Couros and his associates (his “co-conspirators”), lays the foundations for explorations without establishing a clear vision of the outcome. We know we’re going somewhere, we know it’s going to be a journey well worth taking, and we know we’re going to experience unexpected pleasures along the way, but we have no idea what the destination is until we help create it through our own participation. It’s a learning process, and the most successful learning processes are those that the learners themselves—ourselves—help define, create, and complete. We allow for successes far greater and more significant than we can envision at the beginning of the learning process; we create an expectation and acceptance of the possibility and likelihood of failures along the way; and we create the most wonderfully odd juxtapositions that in and of themselves serve as the sandboxes capable of producing results worth seeking. Brown, at a key point in his presentation, draws our attention to John Cleese’s lecture on creativity—a spectacularly entertaining and thought-provoking presentation that was originally delivered in 1991, yet continues popping up via online links with great regularity and proving itself to be as timely today as it was more than two decades ago. Being onsite with Brown means that we experience Cleese second-hand; watching the video of Brown’s presentation provides the invitation (consider it a command performance) to take the time to actually relive Cleese’s lecture in the moment, in juxtaposition with what Brown is offering. And we’re all the richer for this opportunity to re-walk both those paths again as frequently as we allow ourselves to be drawn to them, just as we’re able to re-walk some of the paths we’re creating, visiting, and revisiting through the various platforms that #etmooc uses (Blackboard Collaborate presentations; blog postings; live tweet chat sessions; postings in a Google+ community; and a variety of other settings limited only by our own imaginations and the amount of time we have to give to our continuing education efforts in a vibrant community of learning). But let’s stay with a key point that Brown makes by quoting from Cleese’s earlier yet virtually contemporaneous presentation: creativity “is not a talent; it is a way of operating.” Every time we creatively pull ourselves back into an inspiring learning moment by re-reading our notes, or re-viewing an online presentation, or re-reading a blog posting (and, perhaps, adding to what is already there by posting a new comment that draws the original blogger back to what he or she wrote days/weeks/months/years ago), we keep our learning moments alive, productive, and fertile. Jumping from Brown to Cleese also takes us deeper into that fabulously Cleesian world where he begins by telling his audience (which, thanks to the video, now includes us in the sort of wonderfully synchronously asynchronous moment that I’m attempting to create with this article) that he can more easily explain humor than he can explain the creative process. Then proceeds to do both by talking about creativity while continually interrupting his own presentation with a seemingly endless string of light bulb jokes. Then finds a way to connect the learning dots by helping us understand how the juxtaposition of seemingly unrelated ideas (like creativity and light bulb jokes) can move our minds from a comfortably closed state (that is antithetical to creativity) to one open to unexpected possibilities (which provides a field where seeds of creativity can sprout, grow, and thrive). He makes us laugh repeatedly by reminding us how important these absurd juxtapositions are, and then producing more of them to prove the point. By the time we leave Cleese and Brown, we have strengthened our ability to engage in the process—and even make sense of the sort of juxtapositions I calculatingly create in the headline to this article. N.B. 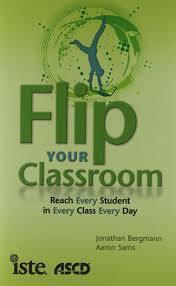 : This is the fourteenth in a series of posts responding to the assignments and explorations fostered through #etmooc. For anyone fascinated by the concept of wicked problems—those complex, ambiguous challenges that are not subject to easy or perfect solutions and that were a topic of discussion at the recent New Media Consortium (NMC) Future of Education summit in Austin, Texas—a book called Dancing with the Devil would seem to keep us in the right company. 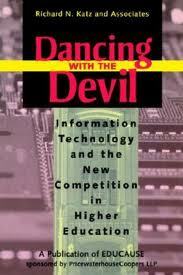 Written by Richard Katz and several of his associates for EDUCAUSE and published by Jossey-Bass in 1999, Dancing with the Devil: Information Technology and the New Competition in Higher Education is fascinating not only for the way it addresses the wicked problem of effectively incorporating technology into learning, but for how contemporary it continues to be more than 12 years after publication in a field of study that feels as if it is evolving faster than we can document that evolutionary process. The book also offers plenty of inspiration for anyone involved in learning—not just those in higher education—and can, in many ways, be a valuable resource for those involved in workplace learning and performance (staff training) programs as well as with libraries, museums, and other organizations with clear and vital roles to play in lifelong learning. Dancing even stands out as another example of how learning expands rhizomatically in ways that are increasingly familiar to those of us exploring #etmooc, the Educational Technology and Media massive open online course (MOOC) that Alec Couros and others are currently offering. The book’s various writers anticipated, through the six essays they published in 1999, the very forms and themes of learning that #etmooc in 2013 is encouraging learners to explore: online, learner-centric/learner-driven efforts that are encouraged through well-run MOOCs; learning opportunities that are available anywhere and anytime that learners can access them; “the need for new thinking about property rights, risk sharing, royalties, residuals, and other cost-sharing and compensation strategies” (pp. 44-45); and reminders that online learning isn’t necessarily or even inherently less costly than face-to-face learning—a valuable response to those who mistakenly promote online learning primarily as a way to reduce expenses (pp. 90-91). Each of these rhizomatic learning tendrils can and will keep us busy for quite a while and leave us free to put as little or as much time into them as our interests and available time allow—something that becomes obvious as we read Dancing with the Devil with an eye toward how timely it remains. James Duderstadt’s opening chapter (“Can Colleges and Universities Survive in the Information Age?”), for example, offered the prediction that “The next decade will represent a period of significant transformation for colleges and universities as we respond to the challenges of serving a changing society and a profoundly changed world (p. 1).” All we have to do is look at the expansion of online learning and the best of the MOOCs that have been developed since MOOCs were first offered in 2008 to see how prescient he was. It only requires one small additional step for us to be able to acknowledge that similar transformations are occurring are occurring in any learning venue. He also suggested that twenty-first century instructors would “find it necessary” to become “designers of learning experiences, processes, and environments”—something we see in settings as varied as #etmooc itself, library and museum learning offerings, and the best of workplace learning and performance (staff training) efforts. This is not to say that the transition is anywhere near complete or universally embraced—that’s why it remains part of the wicked problem we are exploring here and in gatherings including the NMC Future of Education summit last month. 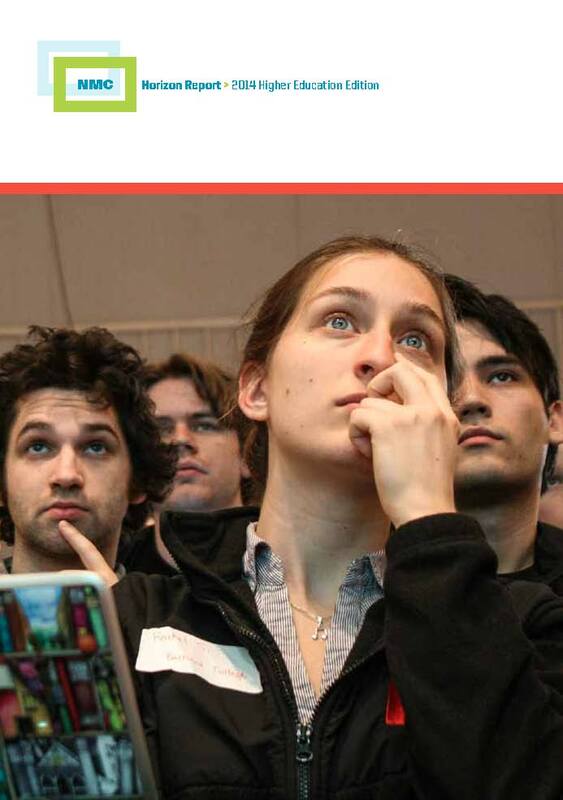 It’s still fairly easy to find articles asking why we rely so heavily on lectures and other long-established methods of learning facilitation in spite of evidence that many of these models are far less effective than experiential learning, flipped classrooms, and other models can be in the best of situations. The virtual time travel that Dancing with the Devil offers is wonderfully obvious when we read the 1999 version of a few case studies Duderstadt (president emeritus and university professor of science and engineering at the University of Michigan) documents, and then revisit those studies via the websites that suggest where the University of Michigan projects are in 2013: the School of Information, the Media Union (now the James and Anne Duderstadt Center); and the Millennium Project. Further online searching leads us to yet another virtual program thriving in Michigan: Michigan Virtual University, started by the State of Michigan in 1998. Duderstadt ends his chapter with a challenge that flows through the entire book: “Rather than an ‘age of knowledge,’ could we instead aspire to a ‘culture of learning,’ in which people are continually surrounded by, immersed in, and absorbed in learning experiences?” (p. 25)—and I suspect that efforts such as #etmooc show that we’re well on our way toward responding positively to that question and gaining a better understanding of the digital literacy skills necessary for us to function effectively and creatively in our onsite-online world. N.B. : This is the twelfth in a series of posts responding to the assignments and explorations fostered through #etmooc. It would appear that the learning rhizomes are spreading uncontrollably—which, for any trainer-teacher-learner, is a wonderfully positive phenomenon. This has happened amazingly quickly—primarily because, less than two weeks ago, I was introduced to Cormier and rhizomatic learning through #etmooc, the Educational Technology and Media MOOC (Massive/Massively Open Online Course) organized by University of Regina professor of educational technology and media Alec Couros and others. There is no denying the rapid spread of the rhizomes and my awareness of this wonderful phenomenon. Interactions with a small (but growing) number of the more than 14,000 people who are signed up for the current offering of #etmooc are already taking place through live-tweet sessions and the absolute flood of tweets under the #etmooc, @etmooc, and #etmchat hashtags, along with postings in our Google+ community and our blog hub, and responses to their YouTube posts. It requires a tremendous sense of discipline—and an acknowledgement that there is life outside of #etmooc—to keep from being overwhelmed by the information deluge produced in this course. 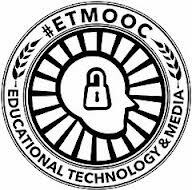 Those learning rhizomes, furthermore, are not just firmly rooted in the fertile ground of #etmooc itself; they are reaching far beyond the incredibly permeable walls of the course. Posting comments on a few MOOCmates’ introductory videos on YouTube apparently initiated some sort of algorithmically-triggered response from YouTube, for among my incoming email messages yesterday morning was a first-time alert from YouTube under the subject line “Just for You from YouTube: Weekly Update – February 13, 2013.” And under the subheading “We think you’d like…” was a learning link I really did like—to a video posted by Kansas State University associate professor Michael Wesch—whose work I happen to adore. Although the “Rethinking Education” video turned out to be one posted more than a year ago, it felt completely fresh. An extension of his earlier “A Vision of Students Today” video coming out of the Mediated Cultures/Digital Ethnography projects at Kansas State University, it was right in the center of a playing field—the wicked problem of rethinking education and online learning—that I’ve been recently been exploring in conversations with colleagues in the New Media Consortium (NMC) Horizon Project, with American Library Association associates Buffy Hamilton and Maurice Coleman, and many others with whom I’m increasingly rhizomatically and quite happily entangled. Watching the “Rethinking Education” video gave the rhizomes a significant growth spurt, for the numerous references in that brief yet densely-packed video sent out new learning shoots ranging from references to Wikipedia articles on commons-based peer production, education, Education 2.0, and knowledge to numerous glimpse of other resources easily accessible online. 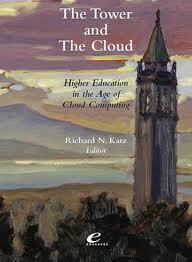 Even in his ending credits, Wesch managed to send out one final learning rhizome: a reference to the EDUCAUSE book The Tower and the Cloud: Higher Education in the Age of Cloud Computing. Being a huge fan of what EDUCAUSE produces, I went to the site; discovered that the book was available both in a print version for purchase and as a free PDF; and soon had a copy on my tablet. My home-based online learning experience morphed into a mobile-learning (m-learning) experience as I left home, tablet in hand, and continued learning by reading the beginning of the book while using public transportation on my way to an appointment in downtown San Francisco. So many rhizomes, so little time! The simple act of having created a personal learning environment that, in the space of one morning, included the MOOC-inspired use of print materials, online materials accessed from a desktop computer, exchanges with colleagues from the desktop and from the mobile device (the tablet), and reading material from that same mobile device, helps any of us understand viscerally why the 2013 Higher Education edition of NMC’s Horizon Report documents tablets and MOOCs as the two technologies currently having the greatest impact on higher education—and, I would suggest, on much of what we see in training-teaching-learning. My head explodes. I need to the intellectual equivalent of mind-to-mind resuscitation. I need to breathe. So I spend that latter part of the day more or less offline in face-to-face conversations with friends and colleagues, then attend an evening neighborhood association meeting that includes interchanges with two recently-elected City/County supervisors. But the rhizomes are not dormant. While I’m asleep, they’re expanding. Lurking. Waiting for me to log back on this morning and discover that Buffy Hamilton has posted her stunningly beautiful PowerPoint slides from the “Nurturing Lifelong Learning with Personal Learning Networks” presentation to Ohio eTech Conference attendees yesterday. And through the act of posting that deck, she brings us and our tangled-spreading-sprawling learning rhizomes right back where we started, for she includes references drawn from our conversations about #etmooc, rhizomatic learning, and much more to inspire me to complete this latest act of digital storytelling that draws upon the #etmooc rhizomes. N.B. : This is the eighth in a series of posts responding to the assignments and explorations fostered through #etmooc.